#NHL Central Scouting releases 2015 Final Rankings. 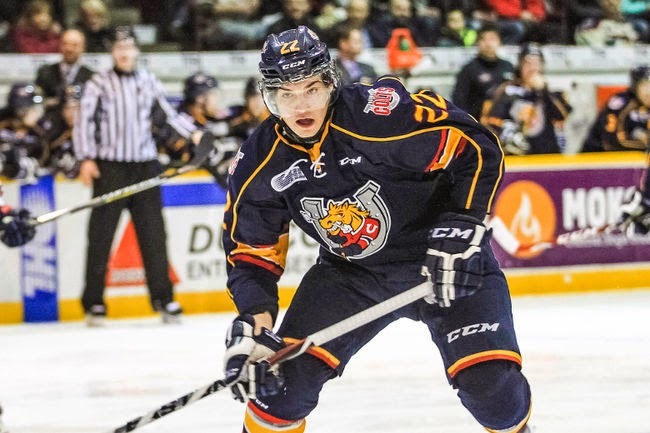 Check out how the @OHLBarrieColts did. #OHL - Very Barrie Colts | A website covering the Barrie Colts of the OHL. Today NHL.com released the Central Scouting final rankings for this years NHL draft which is scheduled to take place in Sunrise, Florida at the BB&T Center on June 26–27, 2015. To see the rest of the list click here. We will focus on both North American lists because they are the ones that apply to the OHL/Barrie Colts. The top two spots have not changed at all since the mid term rankings were released back on January 20th. 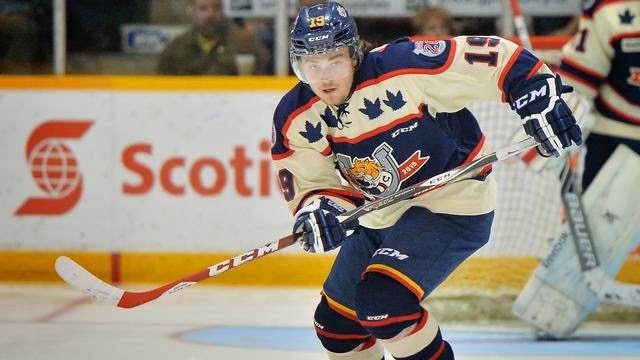 Connor McDavid of the Erie Otters landed in the top spot while Jack Eichel of Boston University took the second spot. Now to get to how the Barrie Colts did on the list. The same 3 skaters from Barrie that cracked the mid term ranking are still on the list. Andrew Mangiapane made the list in the 85th spot which is a big jump considering the mid term rankings had him at 147th. Mangiapane had an incredible season with the Colts totaling 104 points which was the 3rd most on the team and 8th most in the OHL. His 61 assists was the second most on the team following captain Joseph Blandisi who had 61. Andrew averaged 1.53 points a game in the regular season and scored 16 power play goals for Barrie. Though, his jump from 147 to 85 is huge, you can't help but think that his size is the reason he is not higher on this list (5'10:170 lbs). That being said, Andrew is a skilled player with incredible speed and has excellent vision. And though he may lack size he can play a very physical game. NHL scouts would be wise to keep an eye on him. Rasmus Andersson landed in the 93rd spot. A bit of a drop from the 84th spot in the mid term rankings. Rasmus has been unreal for the Colts. In a season where the team was frantic to find a way to fill in the loss of former captain and first overall pick in the last NHL draft Aaron Ekblad; Andersson has made "life without Ekblad" a smoother transition than fans and management could have hoped for. Andersson was the 4th highest scorer on Barrie with 64 points. That is more than double the points of the second highest defenseman on the team Ben Harpur who ended the season with 31 points. Andersson was a +14 on the season and almost averaged a point a game. His work at the blue line is incredible. He always pinches at the right time and loves to shoot the puck. Roy Radke climbed his way from 111th last ranking to 104th in the final ranking. Roy ended the regular season with 18 points. He is a big kid standing at 6'2.5 and weighing just over 200 pounds. Roy is a strong player that will score important goals when you are not expecting it from him. He is an aggressive player but knows where the line is only receiving 29 PIM this season. Radke would be a great depth player for any team looking for someone who can score and who is tough to play against. As for the North American goaltending list the top did not change. Mackenzie Blackwood is still in the 1st spot. Mac played 51 games for the Colts this season which is incredible since he missed a good stretch with an injury. The Colts were the most penalized team in the OHL (BY A LOT!!!) and without Blackwood standing on his head there is no way this team placed the way they did. He finished the season with a 33-14-1-1 record with a .906 save percentage. Mackenzie is such a strong goalie. His vision is great and he has an ability to make his 6'4/215 lb body look even bigger than it is. What are your thoughts on the list? Do you feel the Colts players who made it were placed too high, too low or just right? Let us know in the comments, on our Facebook page or on Twitter!